(1) Lower energy costs, often by 30-50%. In some cases, you can even sell surplus energy back to the grid. Imagine the power company sending you a check instead of a bill! (2) Lower your carbon footprint. We all want to do our part to care for our environment; this is your opportunity. Use the energy of the sun to heat water and/or produce electricity through passive (water heating) and active (photo-voltaic) solar panels. Generate some or all of your own electricity using moving air with a small residential wind turbine. 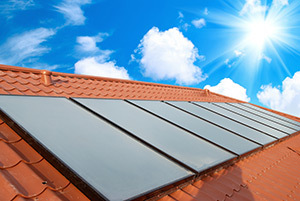 Radiant energy systems avoid the air quality issues associated with forced air heating. 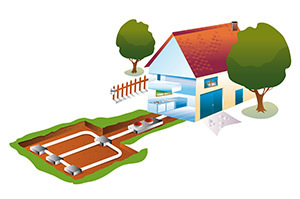 Linked to geothermal systems, they use the temperature of the earth to help regulate the temperature of your home. Fuel cells convert natural gas to electricity. The by product of this cutting-edge technology is pure clean hot water.